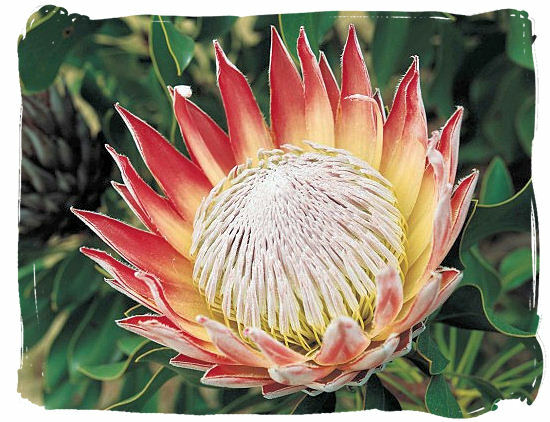 The South African national symbols include three animals and two plants, the Springbok, the Blue Crane, the Galjoen, the King Protea, and the Yellowwood Tree. The Springbok (Antidorcas marsupialis) gets its common name from its characteristic jumping display, “pronk” in Afrikaans. The animal stands 75cm high and weighs about 40kg. 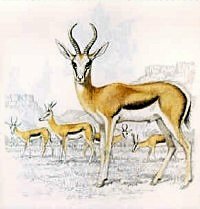 The country's national animal is the Springbok, which also gives its name to the South African rugby team, fondly (and sometimes not so fondly) known as the Boks. 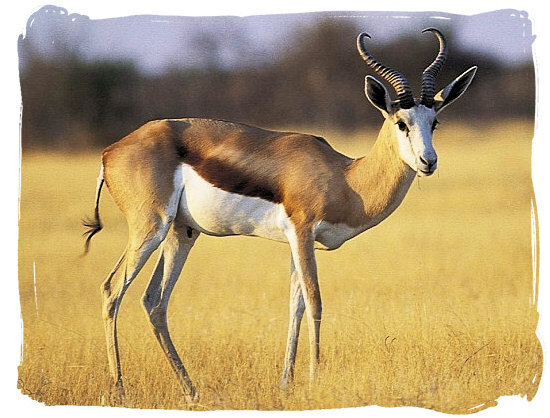 The Springbok (Antidorcas marsupialis) gets its common name from its characteristic jumping display, "pronk"in Afrikaans. 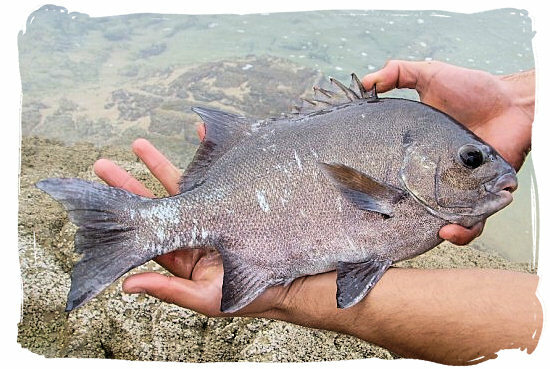 The animal stands 75cm high and weigh about 40kg. 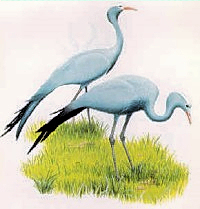 The national bird of South Africa is the Blue Crane (Anthropoides paradisia), the distribution of which is almost entirely restricted to the country. 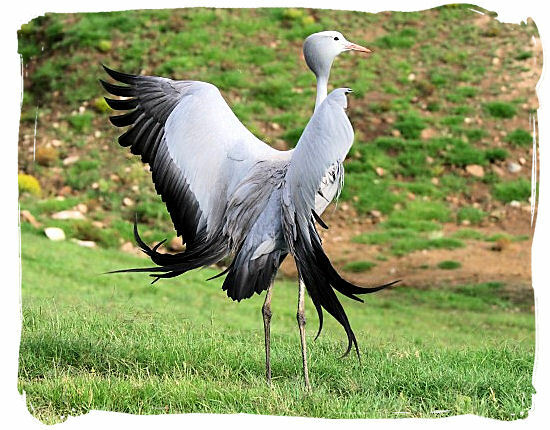 Standing about a meter tall, the bird is a light blue-grey, with a long neck supporting a rather bulbous head, long legs and elegant wing plumes which sweep to the ground. The giant or King Protea (Protea cynaroides) is widely distributed in the south-western and southern areas of the Western Cape, from the Cedarberg up to just east of Grahamstown. 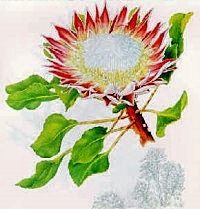 South Africa's national flower is the largest of the proteas, which make up an important part of the unique Cape Floral Region, a major global biodiversity hotspot and a Unesco World Heritage site. The Proteas also give their name to South Africa's national cricket team. 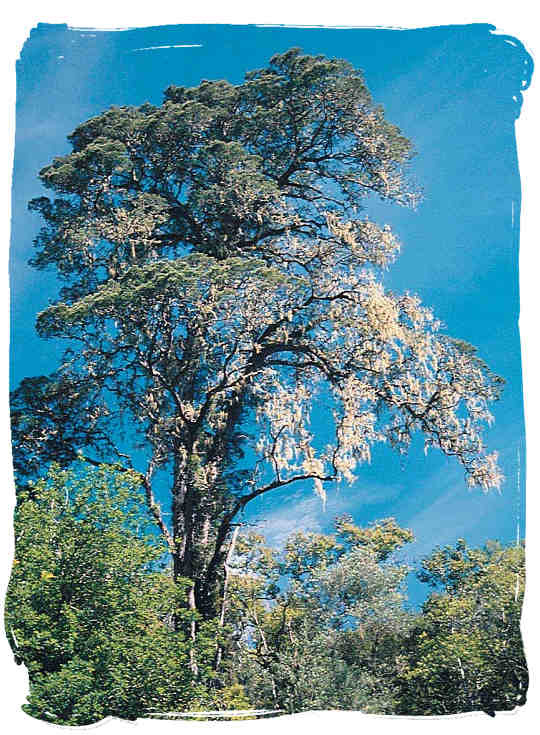 The Yellowwood family of trees is ancient, having grown in this part of Africa for thousands of years. 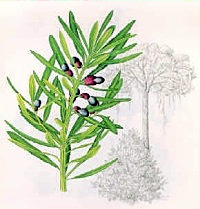 The real Yellowwood (Podocarpus latifolius), South Africa's national tree, is found from Table Mountain, along the southern and eastern Cape coast, in the ravines of the Drakensberg up to the Soutpansberg and the Blouberg in Limpopo.